We had 65 Ladies come out for our second Ladies Golf day with 10 new participants. Was it ever cold though, we hope to have better weather next week! Thank you, Brian, for having nice hot soup and a Taco Buffet for us this evening! We played a 2 person scramble format, therefore, the prize vouchers were awarded to the two-person team with the 6 lowest gross scores. Every Monday ladies have the option to play their game any time after 9:00 a.m. OR they can join us at the 6:00 pm Shotgun start. Hand your scorecard into the pro shop immediately after you play your game and make sure your first and last names are written on your score card. Otherwise, you do not qualify for the prizes for (closest to the pin, closest to the line, low gross scores (2) or low net scores (4). If you are driving a cart, please sign-up to start your game on a hole further away from the clubhouse to allow golfers who are walking to start their games on closer holes. 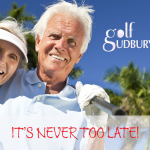 Next week on Monday, May 15th at the 6:00 pm shotgun start, we will be playing our own game, however, each foursome will be given one coloured ball, which will be shared by each player at alternate holes. Player # 1 must use the coloured on the first hole then will hand it to the second player for the next hole, while the other members of your team play with their own balls until it is their turn to play with the coloured ball. If your team plays well you should have the coloured ball at the end of your game, which you will hand into the pro shop with your scorecard in order to qualify for a bonus prize draw. However, if one of you loses the coloured ball during play, (for example the ball lands in water and it cannot be retrieved) your team will not qualify for the draw. So make sure you keep your eye on the coloured ball when it is your teammate’s turn to play with it. The coloured play must remain in play throughout the round of 9 holes. Everyone will keep their individual scores throughout the game. The twoonie pot in the amount of $55.00 was not won this evening, therefore, this amount will be carried over and added to next Monday money pot.